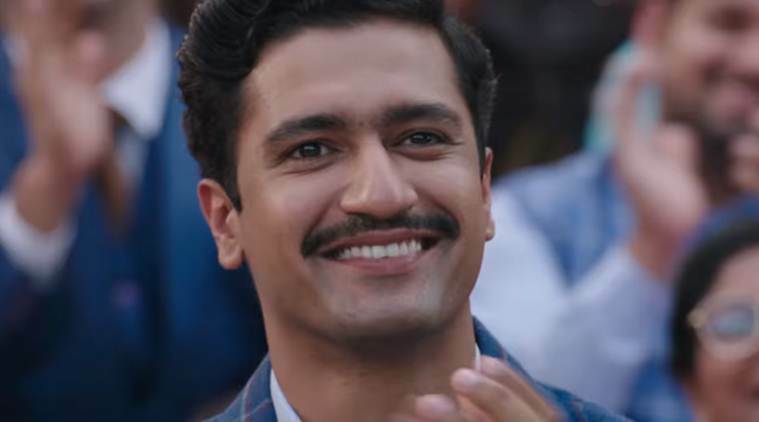 Award-winning actor Vicky Kaushal assisted on the much-acclaimed Gangs of Wasseypur series with Anurag Kashyap before stepping in front of the camera with films like Masaan, which won him awards and critical appreciation. The 30-year-old actor has recently starred in RAAZI with Alia Bhatt, released in UK cinemas via ZEE Studios International as well as worldwide to much praise and box office bliss. The film has entered the coveted 100 crore club and even in the UK grossed an impressive £326,915 after its third week, a feat for an issue based film centred on the female protagonist. In this conversation with BollySpice, Kaushal opens up on the experience of being a part of the film, directed by Meghna Gulzar and produced by Karan Johar’s Dharma Productions. How do you feel when a film of yours is releasing? I feel fortunate to be a part of the film and having an opportunity to work with such wonderful people. I also felt overwhelmed by the reactions to the trailer and songs. 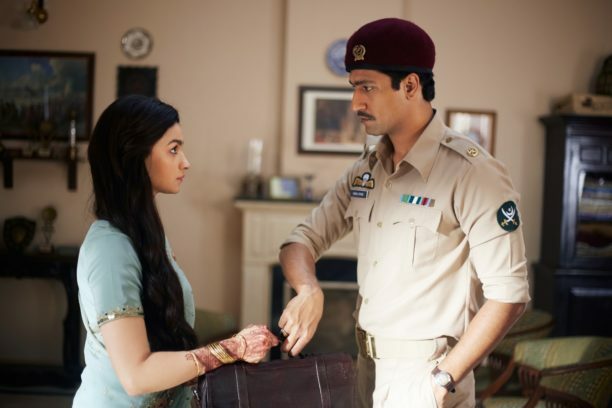 Raazi was made with a lot of sincerity and hard-work. It fills your heart with a lot of love and excitement. You play a crucial role but how did the film come to you and why did you agree to be a part of it? Karan Johar called me and told me about the role. I went to the office and met Meghna Gulzar, the director, who narrated the story and my character to me. She also asked me to do a small screen test. A couple of days later, I received the complete script and was asked to go over it and was asked to revert with my decision. I was completely blown away by the story, once I read it all. It had a real impact just because it was a true story. It was just in my head that whatever I’m reading, happened for real. I was in awe of the sacrifices and selfless act of bravery and felt that it would be an honour to be a part of the film. Did you feel that there may have been repercussions because the film’s central plot deals with conflicts between Pakistan and India, looking at the current climate? I don’t think so because it’s not a conventional Pak-Indo war film. The film goes much beyond and deeper than that. The relationships portrayed in the film are very human and like the posters say, Ali Bhatt’s character is not just a spy but she is also a wife and a daughter. There are many layers to her character. I wasn’t worried about that front. Every film demands its on texture and its own style of storytelling. It is very important to stay true to that. For movies like Badrinath Ki Dulhania, the song and dance numbers are what works for the film. For Raazi, it would look out of place. It’s wonderful to see Dharma let Meghna make the film that she set out to make. It’s great that there was no compulsion from the production house to steer away from Meghna’s vision, even with the soundtrack. All songs in Raazi are absolutely required for the storytelling. They move the story forward and blend in beautifully. What do you think of the short span of time given to promoting a film which differs to how it used to be a few years ago? To be honest, I’m not an old player in the industry. It’s all still very new for me. I completely enjoy the aspect of promoting movies. You have to kind of shout on top of your lungs that your film is coming out to create maximum awareness. We wanted as many people as possible to come and watch the film. It’s the producers call how long the promotional activity should last. As an actor, I’m not involved in that aspect. 15 queries in 1.073 seconds.